In some cities, maples make up more than half the trees. Listen to urban foresters' concerns and what you can do to help. Some cities in Michigan could lose half of all their trees due to disease or pests. Foresters are working to reduce the potential devastation. “So, I just wanted to show you, this is a neighborhood with old maple trees," Kerry Gray said as she led the way down a tree-lined street in Ann Arbor. She's the urban forester for the city. She’s worried about losing a lot of the city’s trees to a pest or disease. It’s happened before. Kerry Gray is Ann Arbor's urban forester. The city has been planting other species of trees to add diversity and resiliency to the city's forest. “We over-planted our communities with elm trees because they were resilient and they were beautiful. Then Dutch elm disease came through and killed all of our elm trees and we lost lots of tree-lined streets. We thought we learned our lesson and then we planted a bunch of ash trees," Gray explained. The emerald ash borer came and Michigan lost nearly all of its ash trees. Urban foresters like Gray are now worried about how much cities have relied on another resilient and beautiful tree: maples. “We’re at 38% for our public trees. So, those are just trees along streets or in parks. It doesn’t include anything on private property,” she said. I asked her, when she looks around anecdotally at private property, whether she sees the same kind of thing. “Yes. Yes, we definitely see a lot of maples being planted and a lot of them being planted by nature as well,” Gray said. Kevin Sayers is the Michigan Department of Natural Resources’ Urban Forestry Coordinator. If maples are lost to a disease such as maple wilt or to invasive pests, cities would lose a lot more trees than when they lost the ash trees. Kevin Sayers is the Michigan Department of Natural Resources’ Urban Forestry Coordinator. He says there are threats to maples now. “In fact, there’s an invasive insect problem: Asian longhorned beetle. It’s most recently been found in Ohio down around the Cincinnati area. 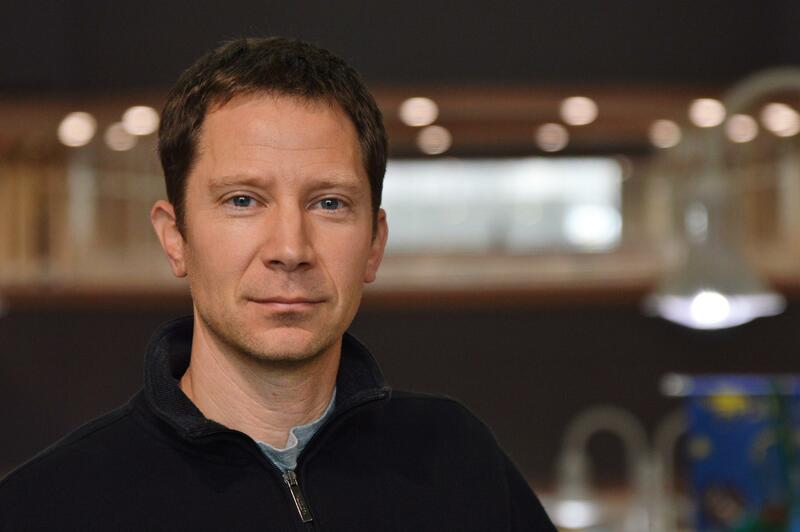 It’s too close to us here in Michigan when it’s just down the road in Ohio,” he says. The Asian longhorned beetle kills more than just maples, but maples are a favorite of the invasive pest. “You could lose half of your trees at one time," said Lee Mueller, an urban forester with the Davey Resource Group in Grand Rapids. He advises cities in Michigan and elsewhere. 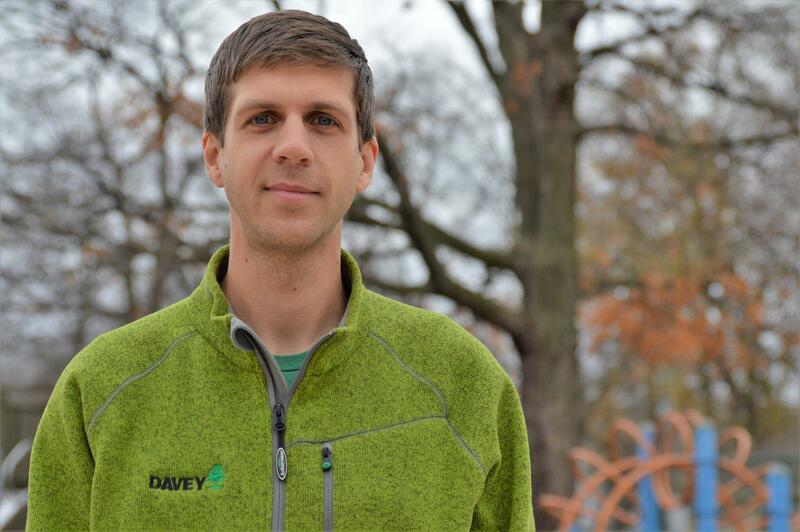 Lee Mueller is a certified arborist with Davey Resource Group in Grand Rapids. “We talk about 50% along the streets, but it’s also backyards, private properties, all these other areas throughout a city. So, as urban foresters, we start to talk about how do we increase diversity of our urban forest and that’s planting different assortments of species,” Mueller said. Mueller concedes maples are great trees. They’re beautiful. But he notes there are plenty of alternatives. Backyard maples in a Michigan city. But it’s a hard sell. Kevin Sayers with the DNR says most people don’t realize that we’re setting ourselves up for another urban forest disaster. “So, I would say most homeowners aren’t probably aware of that. They tend to go shopping for a tree, looking for something they’re familiar with: a maple. Not recognizing necessarily that their street, their neighbors’ backyards are already abundant in that. So, maybe choosing a different species of tree. I would say we’ve got a lot of work to do to build that awareness among the population as a whole,” Sayers said. Urban foresters say they’re not abandoning maples altogether. They’re just planting a lot fewer of them and planting a greater variety of species along the streets and in the parks. And when it comes to your yard, they hope you consult an arborist or find a reputable nursery to help you find the perfect tree. Just maybe not a maple. Have you seen these beetles? Officials want you to help them look for a tree killer. It’s called the Asian longhorned beetle. It has a shiny black body with white spots, really long antennae, and sometimes, blue feet. It’s not in Michigan yet, as far as anyone knows. But there are infestations in Ohio. Earthworms seem pretty harmless. But they’re causing problems for Michigan’s multi-million dollar sugar maple industry. 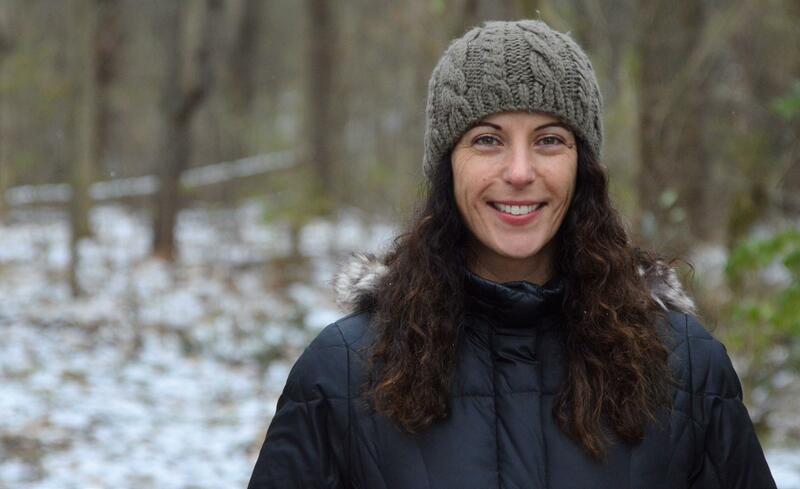 That’s the finding of a study by Tara Bal, a research assistant professor of forest resources and environmental science at Michigan Technological University.